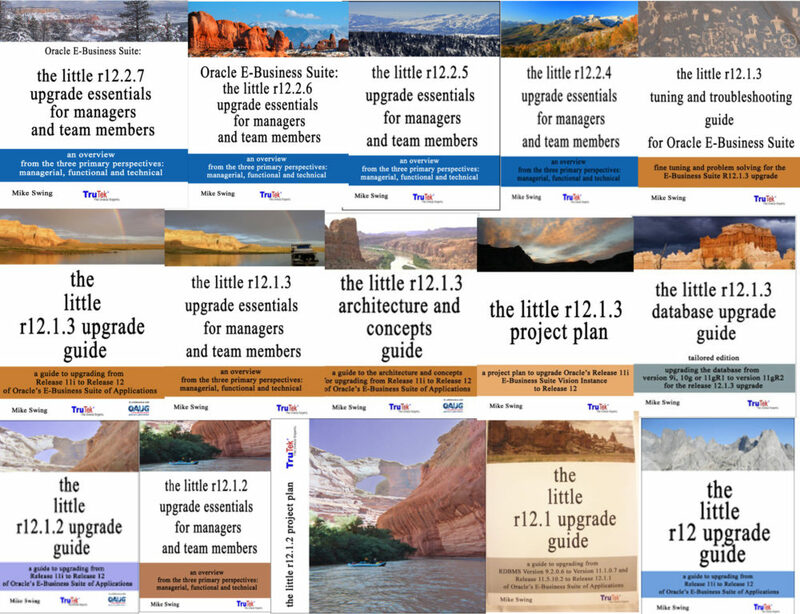 For instructions on applying Oracle E-Business Suite Consolidated Upgrade Patch 6 (CUP6) for Release 12.2 (patch 19796566:12.2.0), refer to step, ‘Apply all Consolidated Upgrade Patches (CUPs)’, in Chapter 3, Section 10 of the Oracle E-Business Suite Upgrade Guide, Release 12.0 and 12.1 to 12.2, Part No. E48839-09. Also refer to My Oracle Support Knowledge Document 1320300.1, for more current details and the README.txt from patch 19796566. All downloads for patch 19796566 – 418, as of Feb 8 2016. When the Upgrade Guide says to apply the Consolidated Upgrade Patch (CUP) for Release 12.2.0 (Patch 18007406:12.2.0) in pre-installation mode on the Run Edition File System, please apply patch 19796566. “Prerequisite: Apply the AD Upgrade Patch for Release 12.2 (Patch 10117518) by merging it with the latest Consolidated Upgrade Patch (CUP) for AD (Patch 19796564:R12.AD.C). The AD Upgrade Patch for Release 12.2 (Patch 10117518) readme contains information about the latest Consolidated Upgrade Patch (CUP) for AD (Patch 19796564:R12.AD.C). You must follow the Patch 10117518 readme and apply it by merging it with the latest Consolidated Upgrade Patch for AD, along with any other patches mentioned in the Readme, as instructed in the readme and by referring to the Upgrade Guides. Use adpatch preinstall=y, to apply Patch 19796566. 3. Apply the patches that you need from MOS Note 1448102.2. Below in this post is an example of patches we needed. Note: Before applying the latest CUP in pre-installation mode: If you have applied any other patch previously in pre-installation mode and do not intend to merge it with 12.2.0 upgrade driver u10124646.drv, clean up the directory <APPL_TOP>/admin/<TWO_TASK>/preinstall on run file system after taking the backup of the current directory. All of the patch driver files located under $APPL_TOP/admin/<TWO_TASK>/preinstall are merged with the 12.2.0 upgrade driver <AU_TOP>/patch/115/driver/u10124646.drv. Therefore, carefully evaluate the content of the directory – <APPL_TOP>/admin/<TWO_TASK>/preinstall and retain only those patch drivers including u19796566.drv ; it is intended to be merged with 12.2.0 upgrade driver – u10124646.drv. You don’t need the copy portion or the generate portion because you installed the upgrade file system and this copied all the files and they were all ready generated. If you are upgrading your E-Business Suite environment from Release 12.0.4 or Release 12.0.6, then you must apply the following AD patch as the very last patch on the Application Tier, before upgrading to 12.2.0. Important: If there are any other patches to be applied on your E-Business Suite Release 12.0.4 or Release 12.0.6 environment, then you must complete those patches and then apply AD patch 11939659:R12.AD.A. The upgrade file system for 12.2.0 is created once. When bugs are found, they are fixed by applying pre-install patches to the upgrade file system, including the Consolidated Upgrade Patch, 19796566 and patches from MOS Note 1448102.2. Preinstall patches, including the CUP, can optionally be merged together in a single patch and driver to ease installation. Oracle Support has provided a wget* shell script, which can be used to download the entire set of preinstall patches, including the latest CUP, directly to your server from My Oracle Support. See the “Downloading Patches Using wget.sh” section of this document. Apply the pre-upgrade patches that were released after the Consolidated Upgrade Patch 19796566:12.2.0. Refer to My Oracle Support Knowledge Document 1448102.2 for the Oracle E-Business Suite Release 12.2 Pre-install Patches Report; it provides a list of essential patches that you must apply in pre-install mode before upgrading from Release 11i/12.0/12.1 to Release 12.2. Follow the recommendations within My Oracle Support Knowledge Document 1448102.2 and apply the additional pre-install patches. We used the patches in BOLD. You don’t need to apply pre-install patches for modules you don’t use or that aren’t set up. The patches you use for your instance will depend on which modules you use.